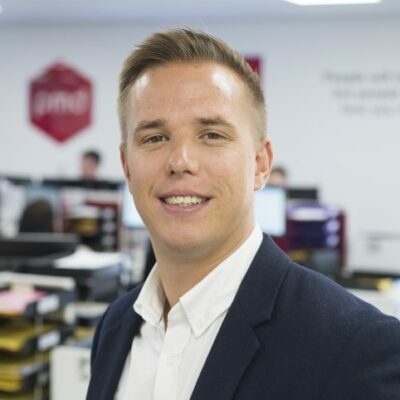 Brad is responsible for offering our wide range of finance options to PMD’s existing client base. Our very own ‘Wolf of Wall street’ he has built a loyal and diverse client portfolio through his tenacious “can do” attitude. We’ve forgiven him for supporting Leeds United F.C. At the weekend he can be found in the bars and clubs of South Manchester; offering advice to anyone who will listen. 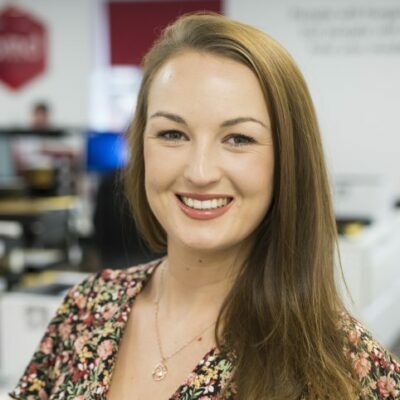 We are delighted to welcome Chloe Parker to the ever expanding team here at PMD. 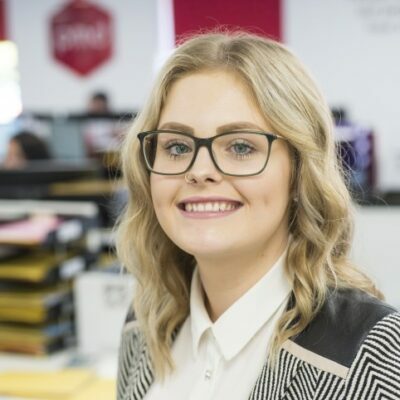 Chloe joins us from another finance provider as a sales support administrator and brings with her a wealth of experience in supporting equipment suppliers with point of sale finance solutions. Chloe has brought an air of class to the office after relocating from Windsor and hasn’t been too impressed with the weather in Manchester, but she’s slowly becoming accustomed to life ‘up North’. 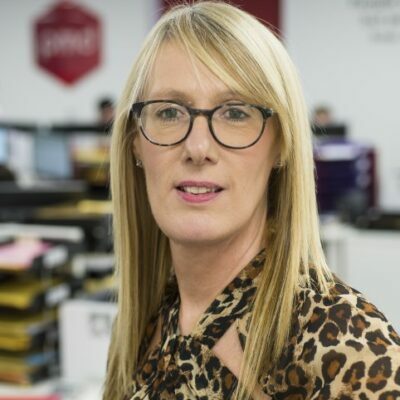 Claudia joins PMD from ‘The Business Growth Hub’ in Manchester where her role involved providing business around the North West with growth and funding support – values very much aligned to our strategy here at PMD. In her spare time Claudia is studying a degree in Business Management and has big ambitions – watch your back Peter Dobson! She enjoys going to the gym and starts every morning with a bowl of chocolate “protein porridge” to fuel her day. Dan is a member of our sales team, and PMD’s resident Scouser. He has a wealth of knowledge in the asset finance industry and is often called upon by colleagues wanting to pick his brain and take advantage of his photographic memory. He is equally adept in many functions of the business. Dan is working on ensuring his new found love for the gym doesn’t outweigh his biggest passion, his beloved Liverpool FC. 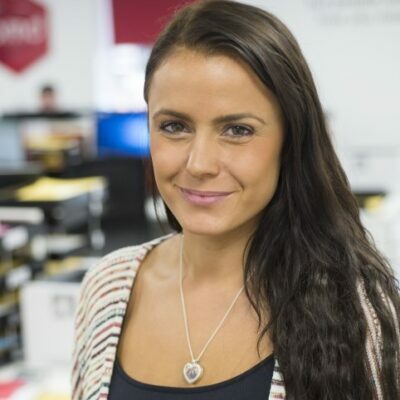 Hayley is a Relationship Manager having recently moved into the role from our Sales Support team. 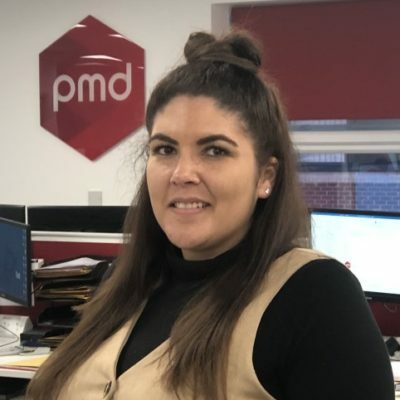 Hayley worked as a Personal Assistant for Senior Executives before joining PMD and uses this experience of being highly organised to provide fantastic customer service to PMD’s Vendor and Customer relationships. Hayley is the office Fashionista always dressed to impress, and a keen football fan telling anyone who will listen how her team played this weekend. 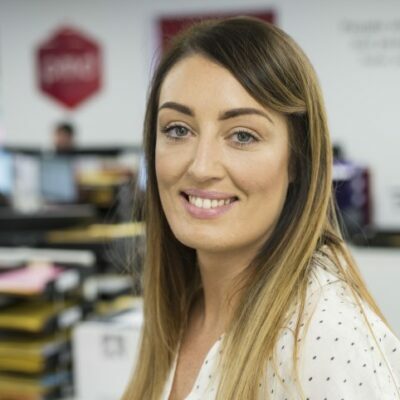 Helen is one of PMD’s original sales support team and has developed her role in the business to also include IT and systems development. 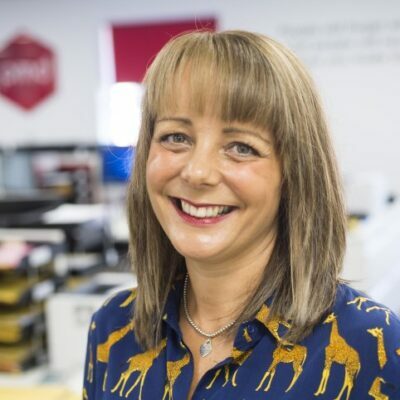 Having worked with the directors for many years, she is passionate about supporting our suppliers and clients to the highest level. She is PMD’s chief cocktail adviser on social occasions! She’s passionate about her family, friends, travelling and trying something new: Indoor trampoleening and squashing tomatoes at Spain’s Tomatina festival included! Jade is one of the new members of the sale support team. 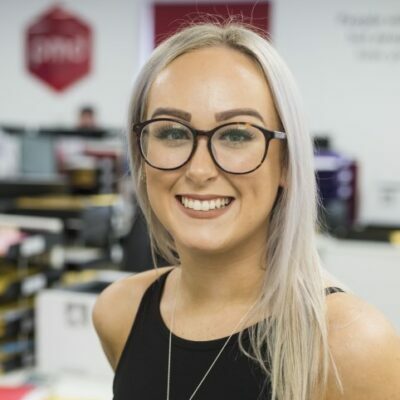 Jade joins us with 4 years experience which were gained in another sales support role dealing with merchant cash advances and business loans, but she decided that she wanted a change, closer to home and away from the City traffic! Jade loves a good girly holiday with her friends which she does once a year and also makes sure she rewards her hard work through the week with a nice vodka and lemonade on the weekend. Jill clearly enjoys working with us! In 2016 she celebrated her 25th anniversary working with the Directors. Whilst we tease her incessantly about her ‘Jillisms’, customers and suppliers alike love her. That’s because she is fantastic in her sales support role, a real asset to our business and definitely one of the best there is! Jill’s a dog lover and enjoys her long weekends in York whenever she gets the opportunity. 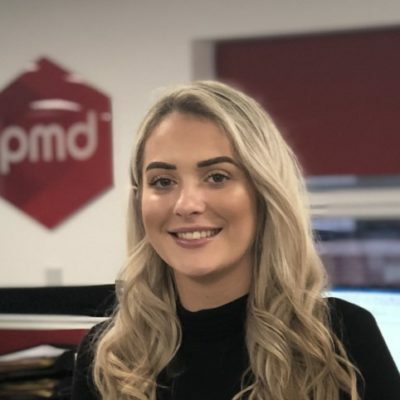 Lauren recently joined PMD as a telephone sales executive working within our direct finance team. Her University course in Nursing was very different to the work she is doing now but she was ready for a new challenge and her bedside manner with customers is excellent! Lauren loves spending quality time with her boy Freddie who is 2 and half. She also enjoys travel and listening to music to relax. Lauren is bubbly and fun and a lovely addition to our team! Lauren has joined PMD after years of experience as a PA. Using her organisational skills to get the job done and her personality to ensure every customer feels at ease from the first phone call. Her lunch time salads are the envy of the whole office! In her spare time Lauren dotes on her daughter, trains hard at the gym, gets on the first flight to Italy. Lauren likes to treat herself for all her hard work with a cheeky Disarono. Lee Schofield has a strong track record of helping asset and equipment suppliers improve both their sales and overall profitability. Lee’s proactive approach is very different to how other ‘point of sale’ finance providers operate. 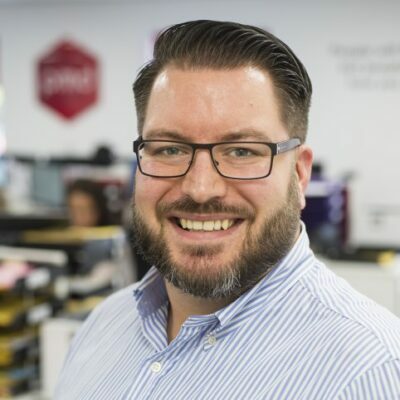 He works with supplier sales teams to help them position their products more effectively with finance, essentially resulting in better conversion rates and more profitable sales. Lee is very much a family man, is fully committed to his work and is very proud of his Northern roots! 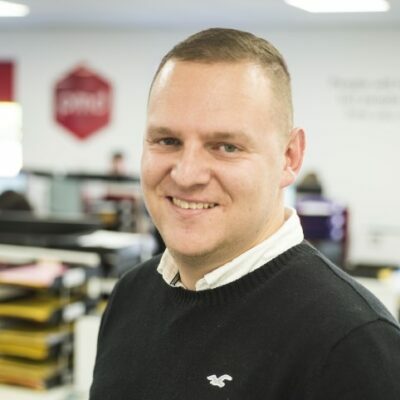 Luke is our IT specialist and has worked with PMD’s directors since leaving university many years ago. 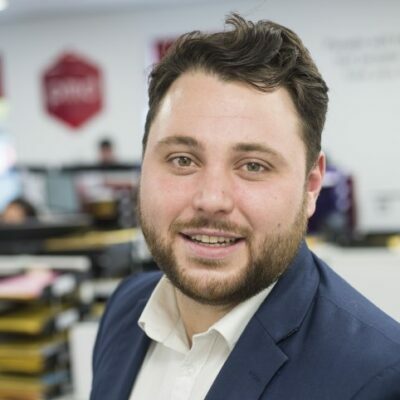 His vast IT knowledge combined with his asset finance experience make him invaluable and he ensures PMD’s systems complement the business. Despite being addicted to BLT sandwiches he somehow manages to keep his cholesterol in check with weekends spent riding his mountain bike around the Pennine moors. Mark is one of our senior account managers with over 15 years experience in the finance industry. His values are based on honesty, integrity, customer service and the belief that you can always learn something new. A passionate family man who enjoys the occasional social gathering, outside of work Mark can usually be found coaching or watching both of his son’s junior football teams. 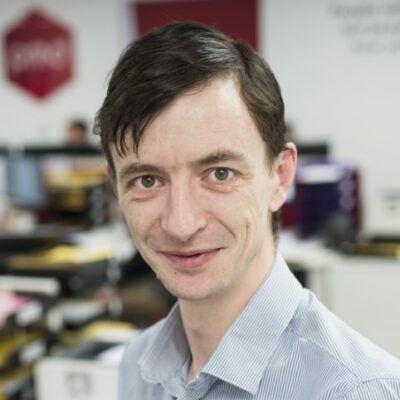 Mark is PMD’s Head of Invoice Finance. He joined us in January 2019 after 17 years working for other IF providers in Manchester. 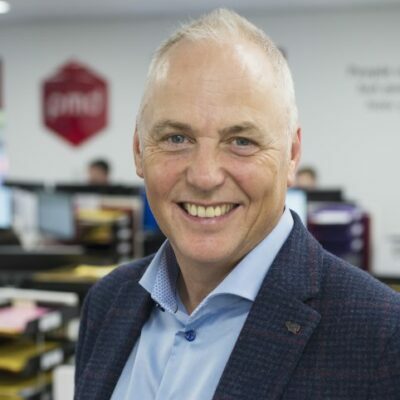 Through our independence he is able to offer PMD clients access to a diverse panel of cash flow providers ensuring the best fit for each client. In his spare time he has a young family to keep him busy and when he manages to escape you may find him on the golf course. He has played off a +1 handicap in the past and once made it to the final qualifying round of the Open Championship. Although from Bolton, Mark has somehow finished up supporting Manchester United. Mike is PMD’s Finance Director and co-founder. He is a Chartered Accountant who trained with, and worked for KPMG, in both the UK and New Zealand. He offers valuable knowledge and experience to the whole PMD team helping us deliver a great service to our customers. Mike is married with two children and is a passionate supporter of Southampton FC and the England National team following them, both home and away. Nathan is our resident Yorkshireman who has over 10 years’ experience in banking and finance. 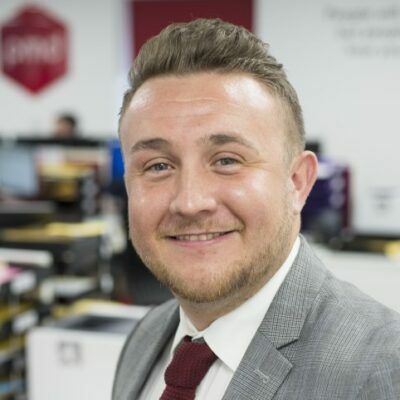 With his knowledge and experience he is a fantastic addition to the PMD Sales team. Nathan is a huge foodie and is trying to dine in as many Michelin Star restaurants as he can which is the envy of the office. In his spare time he likes taking long walks in countryside accompanied by Arnie the French Bulldog who even has his own Facebook page. 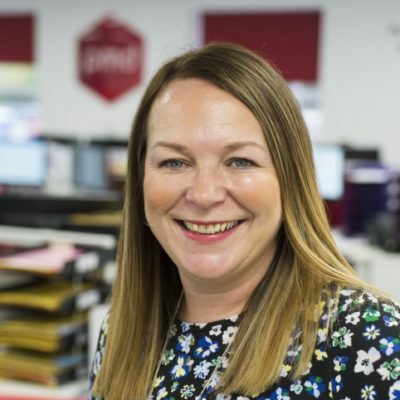 Nuala joined PMD’s Sales Support Team after spending most of her working life in the Hospitality Industry in both an administration and sales role. As a result of her previous experience and work environment, we saw her strengths in customer service & understanding client needs. Nuala likes to attend the gym to relax, but her favourite hobby is sewing. She is the office seamstress and ensures all our suits are tailored to perfection! Paul is one of our Development & Relationship Managers and has 35 years finance industry experience. 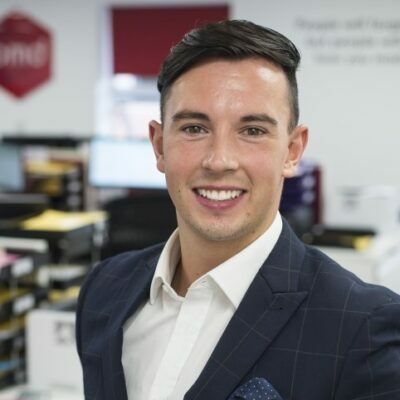 He enjoys working with both vendor & direct clients offering bespoke finance solutions. A golf club member who would love to see his handicap in single figures! Peter is PMD’s Managing Director and co-founder. He is passionate about offering clients a diverse range of competitive finance solutions wrapped around the best possible service experience. Away from work, he loves spending time with his family, especially on holiday, watching Bolton Wanderers and playing golf with his son. 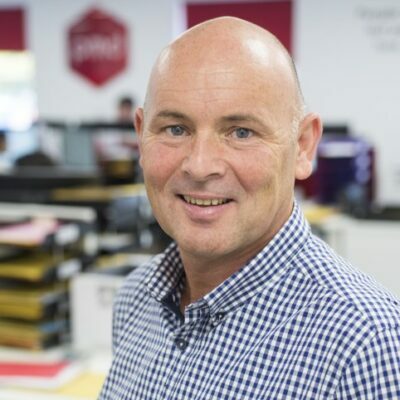 With over 25 years in the industry, Phil is vastly experienced, particularly in the Health and Fitness and sector. He’s passionate in supporting both suppliers and clients over the long term. He trades with integrity and provides creative solutions specific to customer’s business requirements. Phil’s passions outside work include his family, pets, football and music. A Man United supporter, Phil is also a co-owner of supporter owned FC United of Manchester, though you are equally likely to see him at a music festival or gig, or on a rare occasion even playing at one! Rob has been Portfolio Manager with PMD since its inception in 2010 after previously working with the other Directors. Recently appointed a Board Director his strengths lie in credit appraisal, assisting our Sales Team in placing complex deals, allowing us to achieve such high acceptance levels. In addition he manages the funding panel we work with. He loves his food and nice wine and regularly talks about joining the gym. He enjoys spending time with his two children and, where time allows, plays football, and follows Manchester United. 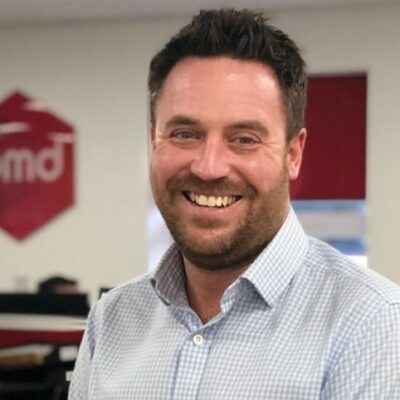 Rob is a member of the vendor sales team, he brings a very motivated and can do attitude to the business and is focused on ensuring our partners and clients enjoy their journey with PMD. When outside work Rob is a keen golfer travelling around the world to play on some of the best courses. He is Yorkshireman through and through but strangely enough supports Burnley FC! 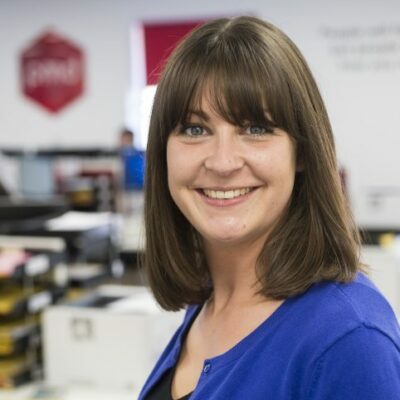 Sam is one of our Business Development Directors and an integral part of the PMD Direct Sales team. 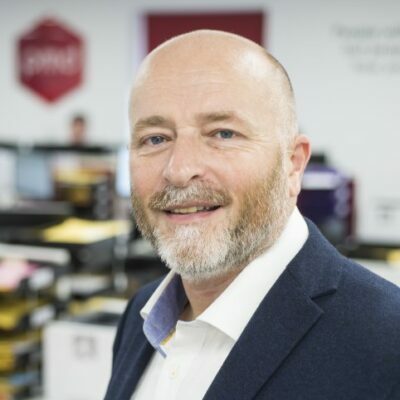 Coming from a bakery background and managing key relationships with some of the UK’s largest supermarkets, PMD’s very own “Muffin Man” offers a fresh approach to the world of business finance. 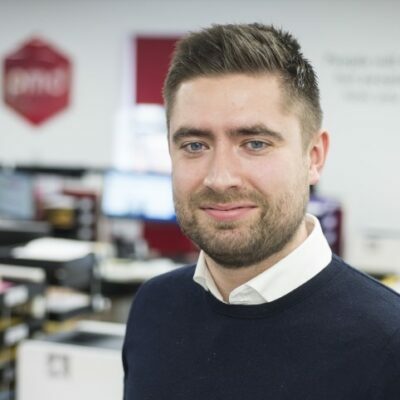 Sam’s ethos is all about building strong relationships with customers and supporting their growth through PMD’s diverse funding panel. Outside work he enjoys walking his beloved Old English bulldog (Nellie), Stockport County FC and attempting to play golf. 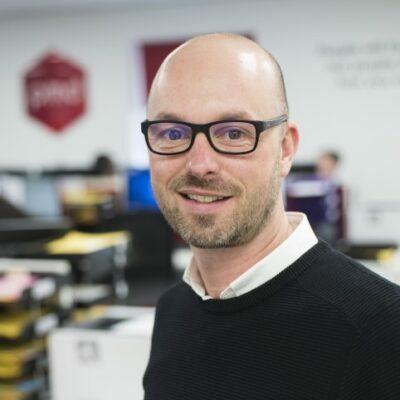 Sam is one of PMD’s original Sales Managers with a collective 20 years finance experience. Her drive and ambition is second to none and she always delivers a refreshingly “can do” attitude to suppliers and customers alike. She is currently following her dream to move south and is renovating her new home, which is great for PMD – welcome shortly our Southern based office! 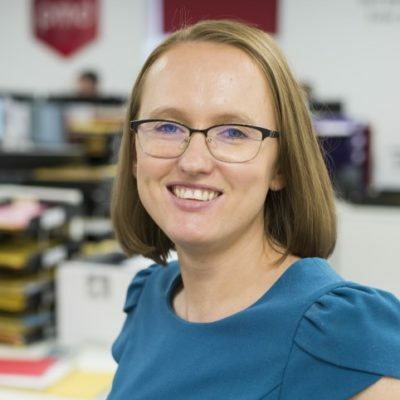 Sara has over 19 years industry experience in various roles and as such is a knowledgeable and invaluable member of the team. She is a dedicated professional who has great ability to turn her skills to any challenge. She is a great support and creates strong team and client relationships. Sara’s priority is spending time with her friends and family, preferably around the Mediterranean! She has a love for life and a wicked sense of humour and is certainly the talking point of many staff events. Delighted to welcome Sarah to the PMD Team with her wealth of experience in various accountancy roles. Sarah is fun and bubbly with a great sense of humour and loves to tell stories about her twin girls Emily and Jessica who keep her busy. Whenever we are in need of a chocolate fix Sarah is on hand to help a colleague in need. She is a keen skier and likes to go out with friends and dance the night away. Steph is a member of the sales support team. 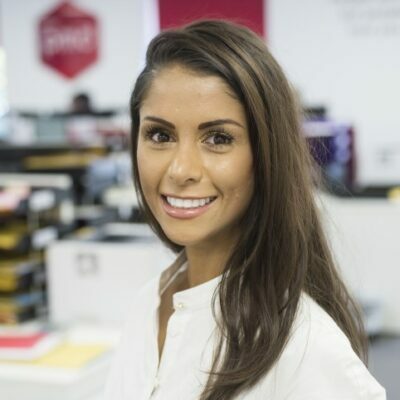 She is committed to providing excellent customer service and brings a wealth of experience to the business, having spent 8 years working for a number of large asset funders. Steph’s biggest problem is understanding the other accents and dialects of her team members! She enjoys going to the gym and often drinks funny looking shakes as part of her latest ‘cleanse’. Just don’t mention the secret stash of Dr Pepper and chocolate in her bottom drawer! Tom is PMD’s ‘Mr Alternative Funding’. Experienced in all areas of asset finance, Tom has helped PMD diversify its product offering to include business loans, invoice discounting and commercial mortgages. He is highly focused on delivering the right products for his customers in a transparent and approachable manner. Away from work, Tom loves his football, travel and music. 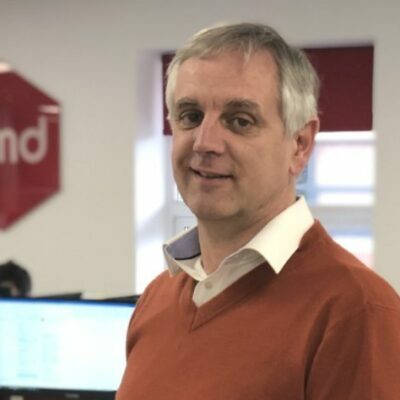 Our business has been growing at a rapid pace since inception and PMD have opened up a number of flexible funding lines to support our expansion. Furthermore, they were also on hand when we needed an injection of cash into the business to support our working capital. 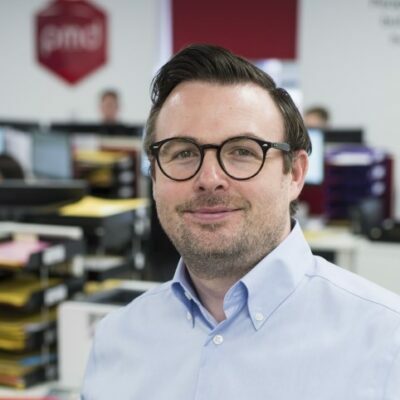 Our PMD Relationship Manager fully understands our business so is able to respond quickly to our funding requirements and negotiate the terms required to fit our model.